Stuck half a world from all he loves… a wife, daughter and the campus at Kent State University… Richard Ames suffers the hell of war. Letters from home remind him of better times. Fondly, he reflects on campus traditions, the love affair that blossomed and the friends he made. To avoid the draft a friend flees for Canada. Another radicalizes. A clash of cultures is brewing. Facing one last mission in Nam, Richard asks the Lord to let him survive. 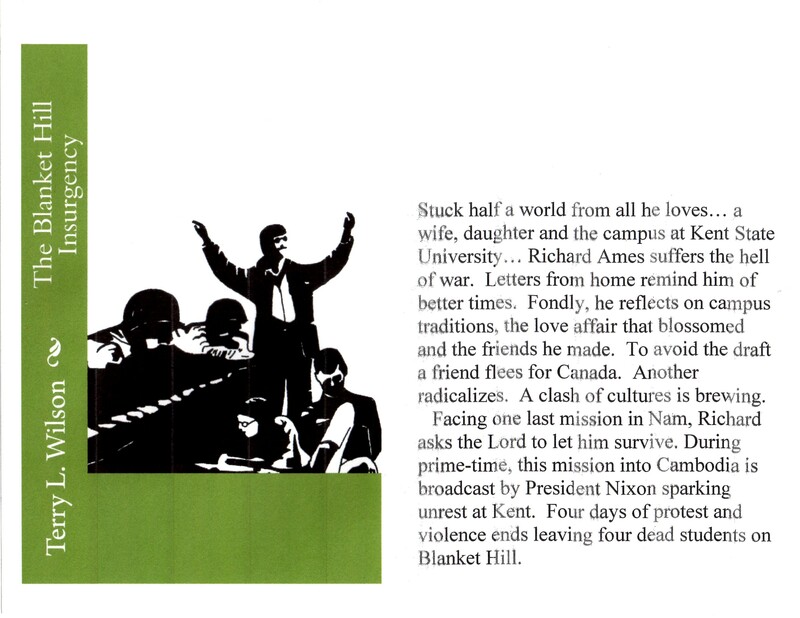 During prime-time, this mission into Cambodia is broadcast by President Nixon sparking unrest at Kent. Four days of protest and violence ends leaving four dead students on Blanket Hill.